The Outsider by Stephen King. I don’t want to give anything away, but I enjoyed the plot, the characters, the twists. This was a really good read. 32 books read so far this year. I feel like I’ve been reading more slowly recently but I’ve chosen a few pretty long books so that’s probably why. I’m taking part in a read-a-thon – Readers Imbibing Peril, which gives me a good motivation to pick up something suitably seasonal now that autumn is upon us at last. Top Ten Tuesday appeared twice on my blog this month. The days are growing cooler and the nights are beginning the draw in, which can mean only one thing – Autumn is on its way! I love this time of year, so what better way to mark the changing seasons than by participating in a suitably eerie Readathon? Welcome to the THIRTEENTH year of Readers Imbibing Peril, or RIP, as it is affectionately called. The challenge runs from 1st September to 31st October. You can find full info by visiting the Readers Imbibing Peril blog. This is for those of us who like to watch suitably scary, eerie, mysterious gothic fare during this time of year. It may be something on the small screen or large. It might be a television show, like Dark Shadows, or your favorite film. I’m really looking forward to one of my favourite reading events during my favourite season. Are you tempted to join in with #RIPXIII ? Spinning Silver by Naomi Novik. 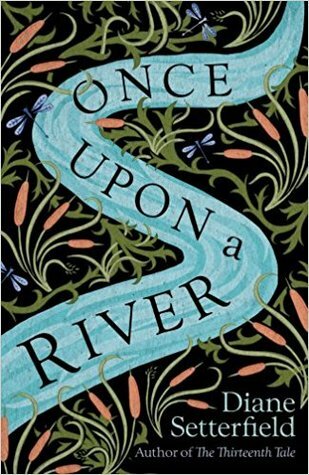 Magic, folklore, and some really strong characters made this a pretty gripping read. 30 books read so far this year. Participated in the latest Bout of Books and really enjoyed the regular progress updates. 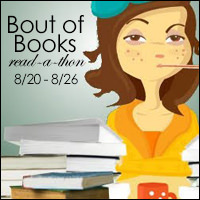 As always I’ll be using this blog for the majority of my updates during the read-a-thon, but you can also find me on Twitter. Maybe even finish that book and find another new read. It’s Bout of Books time again. I’m hoping to get some good reading time in later today so will update on the day’s progress tomorrow. So, how did everyone get on with the first day of reading? I’ve made a start on Fatal Inheritance and I think it’s going to be really good. I’ve never read anything by Rachel Rhys before, and I enjoy finding new-to-me authors. I managed another 50 pages of Fatal Inheritance today. I didn’t think I’d have as much time to read so I was quite pleased. It’s a really good story, and I can’t wait to see what revelations lie ahead. Nothing to report today. Not a single page. Hopefully will do better tomorrow! I had a much better day for reading, and made up for yesterday’s total lack of progress. I managed another 100 pages. I’m past half way through my book now, so I’m hoping I might be able to finish it by the end of the readathon. Not a bad day for reading today. I’m still enjoying this book. Managed a good reading sessions this afternoon. I think I’ll definitely get Fatal Inheritance finished before Bout of Books finishes.